The life of faithfulness is challenging. The world that we live in is complex. The issues of the day can be daunting. This psalm explores the isolation that God’s people can experience when they forget their foundation. Verse 1 opens with a cry for “help” directed to the LORD. This is the Hebrew word hosanna that readers may recognize from the Gospel story of Jesus’ entry into Jerusalem on Palm Sunday. Hosanna means “save.” Thus it is more than just calling for “help.” The psalmist recognizes that it is the LORD alone to whom he can turn. What is the reason for this call? The psalmist feels as though he is utterly alone in attempting to walk faithfully with the LORD. In verses 1b–2 the psalmist exclaims his belief that all of the faithful have vanished. There is no one who remains loyally committed to the ways of God. In fact, the psalmist declares that everyone speaks deceptively and plots ill. Have you ever felt this way? How do we pray when it seems as though we are the only ones who trust the LORD and care about his mission? Verses 3–4 add specifics to the psalmist’s plea for help. The psalmist feels oppressed. The psalmist asks the LORD to silence all who using their voices for deceitfulness and boasting about their own power. Life confronts us with choices and differing philosophies. One subtle temptation involves the myth of self-reliance. We can deny the existence of God and power of our own faith by acting as if it is our talents and strength alone that determine our destiny. The psalmist recognizes his true need for God and is overwhelmed by a society in which this truth is denied. When self-reliance is overemphasized, we find a society shaped by selfishness and injustice. We treat resources as limited and hoard them for our own use or for the use of those whom we love. This psalmist is on the short end of this type of world. The psalmist then shares the LORD’s response. The LORD is not for the self-reliant, but for justice. The LORD rises up to protect the poor and needy against those who claim self-reliance and self-determinism as they philosophy of life. Verses 6–8 affirm the psalmist’s trust and confidence in the LORD’s care and protection. Unlike the wicked whose words are fickle and deceptive, the words of the LORD is sure and secure. They are like the purest silver or gold. They are money in the bank. Therefore, the psalmist knows that his life is safe. Regardless of how desperate the situation appears in the moment, the LORD safeguards the those who truly recognize their need for God. This psalm reminds us that the LORD is present for those who are desperate for what only God can do. O that we would all live our lives out of this sort of dependence! What is the problem that confronts the psalmist in Ps 12? How does the LORD answer the psalmist? What warning does this psalm offer to those who pray it? Psalm 11 is a song of trust. It reminds God’s people of the true source of their security. This is a crucial word for us today. It is easy for us to misplace our security. Too often we rely on our owns strengths and resources. This may involve our wealth, our relationships, our network, our possessions, our intellect, or our talents. Psalm 11 assumes that the challenges facing God’s people are more than our own assets can overcome. Psalm 11 divides into two parts. Verses 1–3 describes the challenges facing the faithful in the world as it exists today. Verses 4–7 proclaim a security that transcends the dangers of the present. It affirms the deep relationship between the LORD and the people of God. Verse 1a opens with the psalmist declaring full trust in the LORD. It is in the LORD alone that the psalmist finds refuge. This is the grounding for the psalmist’s life. The psalmist can face the challenges and even dangers of the present because of the LORD. Verses 1b–3 contain the problem that the psalmist’s trust and faithfulness answers. The psalmist addresses the real concern of the community. How can the righteous find security when people with wicked or evil intent threaten their lives and families? This is no mere hypothetical question for many believers around the world today. A life of faith and mission can be risky. The psalmist’s community ponders the need to flee from the dangers of the world by heading to the mountains. What are the people of God to do when it seems as if all of their assumptions and practices of how to live seem to crumble? The psalmist knows the answer to his implied question. Security is found in the LORD. Verse 4 grounds this is the dynamic truth of the LORD’s presence in our world and transcendence over all Creation. As Christians, we can find comfort and peace in the reality that God is present with us in the now of our lives yet simultaneously able to rule with a view from all eternity. On basis of this truth, the psalmist sketches out the implications for our lives. As we’ve seen in other psalms, there are two groups of people: the righteous and the wicked. The psalmist assumes that he is among the righteous. Whenever we find these divisions in Scripture, it is crucial for us to recognize that it is the LORD who makes these categories and it is the LORD who makes these judgments. As we read vv. 5–6, the righteous are not to rejoice at the downfall of the wicked. The backdrop of the psalm is that the righteous are suffering affliction and hardship. Vv. 5–6 describe the reversal that will ultimately occur if those who prefer and practice injustice and violence do not turn from their ways to abide in the LORD. Verse 7 reminds God’s people of their hope-filled future. The takeaway is that God’s people must stay on course in the present and model God’s holy character with the assurance that this is the right way to make it through the world. What practices do you keep that ground you in God? What kind of person does this psalm invite you to become to be able to live with integrity as one of the righteous? Today we complete our reading of Psalm 19 by reflecting on verses 11–14. Check out the posts on verses 1–6 and verses 7–10. Psalm 19 reaches its climax in vv 11–14. Vv. 1–6 observed that the creation witnesses to the glory and awesomeness of God. But as we noted, the testimony of creation does not offer specifics regarding God’s character, mission, or will. Thus, there is no human response to the witness of creation except for the awe that comes from recognizing a creator. Verses 7–10 record the clear and unambiguous witness of God’s Word through his Law. God’s Law or Torah is transformative and effective in revealing God’s truth and will for humanity. It is priceless. It is a complete revelation—just as there were six days of God’s creative activity (Gen 1:1–31), there are six different synonyms for the Torah of the LORD six recurrences of the name the LORD. We also saw how in the New Testament Jesus serves as the perfectly faithful human and the living Word of God for the world. Jesus reveals God through his life, death, and resurrection. In verses 11–14, humanity responds and joins with creation in declaring the good news about God. The revelation of the law or Torah of the LORD creates the response in humanity. In verse 11, the psalmist recognizes the power of God’s word in revealing God’s way through the world. They serve both to warn God’s people and to point to the way of greatest blessing. This truth overwhelms the psalmist and causes him to recognize his lack of faithfulness and the presence of both intentional and unintentional errors in his life. In other words, the law of the LORD speaks directly to us of both our potential as God’s people and our pitfalls in our struggles to love God and neighbor. What are we do in light of recognition of our own sins and lack before the LORD? This psalm has good news. We turn to God and pray for cleansing (vv. 12b–13). God hears our prayers. Psalm 19 assumes transformation and ends powerfully. Verse 14 testifies of the LORD’s work in the life of the psalmist. He moves from awestruck observer of creation’s praise (vv. 1–6) to recipient of revelation through the law of the LORD to a person with a testimony of transformation as the psalmist’s own voice joins the chorus of creation. May we experience this transformation as well so that we can join in the witness: “May these words of my mouth and this meditation of my heart be pleasing in your sight, LORD, my Rock and my Redeemer.” Note that verse 14 contains the seventh occurrence of LORD in the psalm. With our transformed witness, the revelation of the LORD is now complete. This psalm is rich. It reminds us of the wonder of God’s world in which we live, it revels in the power of God’s word to reveal our deepest needs, it testifies to God’s willingness to forgive and transform us, and it calls us to realign with God’s mission by adding our witness to the chorus of all creation. What needs in the psalmist’s life does the law of the LORD reveal? What is the connection between transformation and mission? How does Psalm 19 teach us to pray? In the previous post, we began our study of Psalm 19 by reflecting on its opening six verses. 19:7–10 reroots God’s people in the Torah after the heavy dose of lament psalms that precede it. Psalm 19 reflects on the power of Torah to transform people. Scripture is an essential part of the journey of God’s people through the world as they seek to live as his missional community that reflects his character. As we learn to pray as we follow Jesus into the world on mission, we’ve already felt the power of the laments and experienced the unbridled sense of wonder in Israel’s praise (both within the lament psalms as well as in the hymn of Psalm 8). Psalm 19:7–10 reorients us to the Torah as a source of transforming truth as we seek to live faithfully as God’s missional people. In vv. 7–9, we find six lines which follow a recurring pattern: (1) 6 synonym for Torah: law, statutes, precepts, commands, fear, and decrees; (2) 6 recurrences of LORD; (3) 6 adjectives that provide an attribute of Torah: perfect, trustworthy, right, radiant, pure, and firm; and (4) 6 results or effects of Torah: refreshing the soul, making wise the simple, giving joy to the heart, giving light to the eyes, enduring forever, and all of them are righteous. These verses reenforce in the us the truth that God’s Word is primarily about transformation. It reveals to us specific teaching about the LORD’s character, mission, and will. Scripture is God’s roadmap for the journey of life. To live faithfully as God’s missional people we need to breathe in and out Scripture on a daily basis. It is our fuel. The six-fold recurring pattern of vv. 7–9 reminds us of God’s six days of creative activity. The implication is that Scripture is complete. It teaches us the truth about the LORD. Note also that LORD is now used rather that God. With the revelation of the law of the LORD comes specificity and clarity of instruction. Creation witnesses to the existence and glory of the Creator; Scripture provides us with details and direct teaching to shape us into the people whom the LORD created us to be. Verse 10 emphasizes the value and desirability of the LORD’s teaching. For those with eyes to see and ears to hear, it is more valuable than gold and more delicious and savory than the finest honey. This is because it provides us with access to the will and desires of our Creator. It is the LORD’s gift to us. What role does Scripture serve in the life of faith? How would you describe or testify to the power of Scripture in your life? Today I want to post an interview with pastor and author Derek Vreeland. He recently published a new book Through the Eyes of N.T. 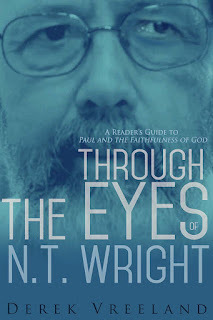 Wright: A Reader's Guide to Paul and the Faithfulness of God that offers a popular reading of N.T. Wright's understanding of Paul. As such, Vreeland provides a helpful service to pastors and teachers by offering a substantive reading of Wright that is more detailed than an executive book summary. Vreeland also models for other missional leaders and pastors the fruit that comes from engaging the deep thinkers and scholars of our day. When did you first become interested in N.T. Wright’s scholarship? I had two seminary experiences and sadly did not read much of Wright. I first stumbled upon Wright in 2007 when I was teaching on Wednesday nights in the summer at the church I was pastoring at the time. I was wrestling with issues of theodicy and I read Evil and the Justice of God as a part of that teaching series. His book was one of many I read that summer and it did not really stand out. That is not the best N.T. Wright book to start with. Soon after I read Simply Christian and my interest in Wright grew. Simply Christian, which is not really that simple, captured my attention because I could see Wright was interested in the big picture of Bible, the grand narrative arc of Scripture, with a particular Christ-centeredness. From there I went on to read Resurrection of the Son and Jesus and the Victory of God, two of Wright’s larger academic books. These books grounded Christology not so much in patristics as in the Jewish context of Jesus. The study of the early church fathers is massively importantly, and I think Wright would agree, but before you see Jesus through the perspective of Nicea and Chalcedon you need to see Jesus through the perspective of the Gospel writers and Paul in the context of second temple Judaism. Wright is a biblical theologian more than a systematic theologian, so he is interested in rooting our reading of Jesus in history. This claim is not to say that the Christ of faith is opposed to the Jesus of history; quite the opposite. As Wright has expressed numerous times: the Jesus of history is the Christ of faith. We desperately need a fresh reading of Scripture within its historical context(s). Wright excels in grounding exegesis in history. How has studying N.T. Wright’s work impacted your preaching and teaching? The single most influential N.T. Wright book for me, and so many other people, has been Surprised By Hope. This book helped to ground my eschatology in the story the Bible is telling. Wright’s biggest impact in my preaching and teaching has been in the area of eschatology. I grew up in a Southern Baptist context shaped by a premillennial, “left behind,” rapture-before-the-great-tribulation view of eschatology. My view of the end was heaven for the righteous, hell for the wicked, and the earth...well I hadn’t given the earth much of a second thought. I assume if you would have asked me at 19 years-old what I believed about the earth at the end, I would have assumed it would be destroyed after the battle of Armageddon and final judgment. In my early days of a pastor, I preached a reductionistic “gospel” of “get saved” so you can go to heaven when you die. Wright changed all the gospel I preached. The end according to Scripture and the great Christian tradition is not leaving the earth for heaven, but heaven coming to earth, the resurrection of the dead, and the renewal of all things. This changed the gospel I preached, how I preached funerals, and how I pastored those struggling with chronic illnesses. The gospel is Jesus is Lord. He is ruling the earth from heaven and when he appears he will complete his project of new creation. Getting our eschatology right is important. One of the most helpful parts of Paul and the Faithfulness of God for me was Wright’s discussion of Paul’s reimagined eschatology. Paul connects ethics with eschatology. As a Jewish thinker, Paul’s worldview was shaped by the first-century Jewish eschatological paradigm of “this age” and “the age to come.” We are currently living in this present evil age, but our baptism into Christ connects us to the age to come. In between these two ages we are being transformed into the kind of people fit for the age to come. How we live today is based on who we are becoming. So our understanding of the end is not as open-handed as I was thought. I used to think it doesn’t matter what you believe about the end, because it will all work out the way God wants. Wright has caused me to rethink that false assumption. As I write in the beginning of chapter 6 in my book, eschatology is not the caboose at the end of the train; it is the engine driving the entire theological enterprise. Can you explain in what ways your book is a “reader’s guide”? N.T. Wright has written numerous books both on a popular level and on an academic level. Paul and the Faithfulness of God is an 1,700-page academic book on the theology of Paul. I, and many others, consider it to be a massively important book on Paul, offering the church a renewed vision of Paul’s theology. My book is a condensed summary of Wright’s book. I summarize in 100 pages what took him nearly 2,000 pages to write. 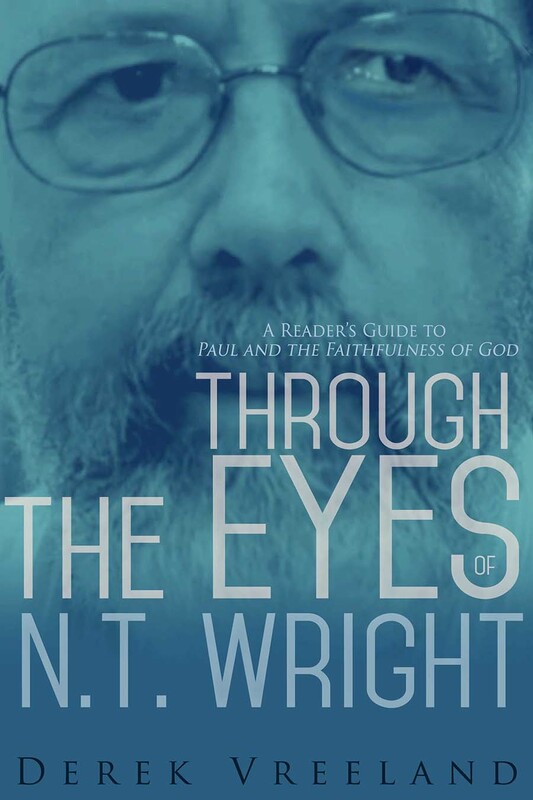 As a “reader’s guide” my book is like a roadmap to help you navigate through the key conclusions Wright draws in his book about Paul’s theology. Who is your ideal audience for your book? I wrote my book with N.T. Wright fans in mind. This includes pastors, educators, and lay people whose theological imaginations have been shaped by Wright. I taught Paul and the Faithfulness of God as a nine-week class at my church last fall. To my great surprise I had 12-15 people come out to the church every Sunday night to listen to me lecture on Wright’s big book on Paul. I created a five-page outline for each class period and those notes became the skeleton for my book. So while I wrote my book for all N.T. Wright fans, in one sense the ideal audience for my book is the average church member who is interested in understanding, at some depth, the theology of Paul woven into the letters he wrote. You do not have to be familiar with Wright’s work in order to read my book. Ideally it would be good to read my book alongside Wright’s book, but I understand for some people that will be overwhelming. What is one key takeaway that every pastor should know about Wright? Wright has touched on so many important subjects, but the one thing pastors should know about N.T. Wight is that he loves the church and he has done his best academic work for the church. Not all scholars writing in the area of biblical studies and biblical theology are like that. There are plenty of academics who write in the area of New Testament studies who are not even practicing, confessing Christians! Wright loves the church. Currently he is a professor at St. Andrews University in Scotland, but before that time he served as the Bishop of Durham in the Church of England where he served quite a number of poor parish churches in a struggling diocese. He did not abandon the church when he left his post as bishop to serve again as a professor. He wants to serve the church through his academic work because he believes in the value of the local church for the vitality of towns and cities around the world. One his points of emphasis in Paul and the Faithfulness of God is the important of ecclesiology in Paul’s theology. He argues that the single thread binding together all of Paul’s letters is not salvation but the unity of the church. Paul does theological work in his letters to help his churches think Christianly and N.T. Wright is doing the same thing. He writes to help the church think through complex issues with a renewed mind, through the mind of Christ. I wrote my book because I share Wright’s love for the church and I want to help the church grapple with Wright’s work, because I believe it will help strengthen and mature God’s church. How can interested readers find a copy? Paperback and Kindle versions of my book are available from Amazon.com. Churches that would like to buy multiple copies for church use can order them directly from me at a discounted rate. Simply email me at derekvreeland@gmail.com for more information. I blog once a month for Missio Alliance on a variety of topics related to theology and church life. I have written two other books, one on the Apostles’ Creed and the other on spiritual formation. Information on those books is available on my website. I also do some preaching and teaching at my home church. Sermon audio can be found here. Thanks Derek. I hope that your book reaches a wide audience. Psalm 19 reorients us to the Torah as a source of strength and sustenance for the journey. Psalm 19 includes elements of praise and petition. It opens with a sense of awe at the distinct witness of creation to its creator (vv. 1–6). The praise continues but shifts to focus on the power of the LORD’s concrete revelation to God’s people in the form of the Torah (vv. 7-10). The psalms concludes with the psalmist recognizing his or her own need before the shining light of God’s word (vv. 11–14). In verse 14, the Psalm comes full circle with a request by the psalmist for cleansing so that he or she may join in the praise of the LORD in concert with the voices of the heavens. Psalm 19 begins by reflecting on the witness to God by the creation itself. As we saw in our review of 146–150, the final psalms especially 148 and 150 anticipate an all creation praise of the LORD. Psalm 19 opens memorably, “The heavens declare the glory of God.” Glory refers to God’s awesomeness or weightiness. There is a witness in creation about the Creator. It is interesting that in Psalm 19 two different words for “God” are deployed. In v. 1, it is a generic word “God” that could be used of any “god.” Obviously, the psalmist has Israel’s God in mind, but it is notable that God’s personal name “LORD” is found only from vv. 7–14 when the witness of the Torah is in view. Why is this? This is part of the beauty of Ps 19. Creation offers a witness to the reality of the divine, but look at vv. 2–4. There is revelation about God but it is not clear or specific. When we ponder the beauty and grandeur of creation, we can recognize the hand of the Creator, but we do not gain specific knowledge of God’s character, mission, or will. Thus, nature shows us that there is a Creator. But we as person’s seeking to know God need more. We desire to know: Who is God? What is God’s will? We need a clear Word from God. Psalm 19 transitions to the next section by reflecting on the sun in vv. 4b–6. The sun is everywhere and brings its life-giving warmth to the entire earth. As we will see, the law or Torah of the LORD will serve in this role for people. It will be the law of the LORD that provides clear instruction and transformative truth to guide us through the world. How does nature proclaim God’s glory? What is your personal experience of nature’s proclamation? What are the limitations of natural revelation? Reflections on the Psalms, 56. This post will cover the remainder of Psalm 8. For comments on 8:1–3, check out yesterday's post. Verses 5–8 reflect on the place of women and men in God’s world. Much of the language here comes from the creation account of humanity in Genesis 1:26–31. Scripture announces that God has crafted every single person who has ever lived and ever will in God’s image. This lifts up the dignity of every person regardless of economic status, gender, ethnicity, or any other idea or belief that divides our world. This was a unique idea in the ancient world of the psalmist. In the Ancient world, only kings were thought to be in God’s image and this gave them a license to use and abuse other humans as expendable slaves and servants of the king and the gods. The biblical view of humanity is sharply different. The bible views every person as a king. All of us have value. This is the what the psalmist marvels about. We may object and say, “Where do we see this truth manifest in our day?” In Scripture, the reality described by Psalm 8 finds its fullest manifestation in Jesus’ life, death, and resurrection. In Hebrews 2:6–11, the author connects the hope expressed in Psalm 8:5–6 with the work of Jesus. Jesus comes to fulfill God’s original intentions for all humanity. Jesus lives the perfect human life in anticipation of the full renewal of all things through his death and resurrection. Through Jesus’ faithful life and sacrificial death, Jesus offers the opportunity for all people to receive God’s grace, be made holy, and be reconciled fully to God’s family (Heb 2:11). Jesus came to make it possible for each of us to live as the person whom God created us to be. This is good news. Psalm 8 marvels at the possibilities and potentials of each person. It envisions a different type of world. With the coming of Jesus and his death and resurrection, we as Jesus’ followers can begin to witness through our own lives and serve in God’s mission to manifest God’s future abundance in the now while we await its full manifestation in the coming New Creation. What does Psalm 8 remind us about the role of humanity in God’s creation? What does Psalm 8 teach us about Jesus’ life and mission? How does Psalm 8 help us to understand our mission? Psalm 8 immediately fulfills the vow to praise God found in Psalm 7:17. In Psalm 8, we encounter the first hymn of praise in the Psalter. It’s opening and closing lines (1a and 9) exhort us to sing of the majesty of the name the LORD. This psalm then focuses its praise for God as creator of all but especially for the role that the LORD graciously created men and women to fill. Verses 1b–2 connect the heavens and the earth in terms of the proclamation of God’s glory or splendor. There is no doubt in the psalmist’s mind of the LORD’s worthiness to be worshipped. Verse 2 is difficult in its specific meaning but its general force is clear. English translations differ. Our NIV text uses the word “praise.” Literally the Hebrew reads “Out of the mouths of children and infants you’ve established strength.” The idea is that God has created a world where human power is not final word in history. The sounds of the weak, whether they are the praise of God or not, can silence powerful enemies. God has created a world that privileges light, justice, peace, love, grace, and mercy. These are the values of God’s kingdom. In our lives on the earth, we often face the hostility of forces that privilege power, darkness, injustice, war, envy, division, vengeance, and hate. These forces often seem more powerful than God and at times seem poised and ready to sweep us away. Psalms 3–7 reminded us of the challenges of living the journey of faith. There are perils that drive us to cry out for help. Psalm 8 speaks a counter testimony against the powers of darkness for the way of God. God established a different mode of living. It is one that finds power in the margins rather than in places of privilege. Within the awesomeness of creation, God is sovereign and powerful. To demonstrate divine power, God’s kingdom advances through different channels than the world’s power. In the world, whoever speaks the loudest and most forcefully often carries the day. Psalm 8 declares that strength manifests through the voices of children. This truth astonishes the psalmist. God empowers the weak to serve as mouthpieces of God’s power. This stands as testimony to the world and invites all creation to rejoice in God’s majesty. How does Psalm 8 describe the praise of God? How does this psalm help us to understand God’s work in the world? Psalm 7 will mark a transition in our journey through Book 1 of the psalter. Like Psalms 3–6, it offers another lament for deliverance from enemies, but as we will see Psalm 7 broadens into a vision for global justice (vv. 9–16) and ends with a vow to offer thanksgiving and praise to the LORD (v. 17). The psalmist opens with a clear statement of trust as well as a plea for help (1–2). Trouble is near (again!) so there is only one response for the psalmist: turn immediately to the only one who can protect and save—the LORD. The psalmist asks for deliverance from ravaging enemies whom he likens to a pride of lions. The psalmist grounds his request in recognizing the LORD as his refuge but also adamantly proclaims his personal innocence. In verses 3–5, the psalmist is bold in his prayer. God should respond immediately with deliverance because of the psalmist’s innocence. In fact, the psalmist asks God to allow his enemies to kill him (v. 5) if he is in fact guilty of any injustice. Wow. Reflect on this for a few moments. What kind of person do I need to become to pray Psalm 7 with such confidence? In verses 6–8, the psalmist makes direct requests for salvation. The assumption is that he is indeed innocent. Therefore, God should act and must act. This is prayer at its best. Prayer assumes a dynamic relationship between God and the one praying. We can present ourselves openly and honestly to God and hold nothing back in the assumption that God will hear us and respond. Remarkably, given the predicament of the psalmist, the psalmist expands the scope of the prayer to include all who are innocent (vv. 9–16). The psalmist imagines a world marked by the rule of justice and the end of injustice. The psalmist begs God to act against those who practice evil and injustice against those who seek to live rightly in love for God and neighbor. The psalmist trusts that God is a warrior who will protect the innocent from those with ill intentions. Notice that the psalmist relinquishes all vengeance to God rather than taking action himself. The psalmist expects and awaits God’s righteous actions to establish justice. Verse 17 ends the psalm with a vow of thanksgiving and praise of the LORD who reigns from on high. This vow will be fulfilled in Psalm 8 which begins, “O LORD our Lord, how majestic is your name in all the earth.” Thanksgiving and praise is fitting for the LORD who is righteous and acts on behalf. Gratitude is a critical response to God’s graciousness and keeps us mindful of God’s ongoing work in our lives. How does Psalm 7 teach us to pray? How does the psalmist view of God’s righteous actions encourage us in our times of need? What role does thanksgiving and praise play in your life of faith? Psalm 6 is another individual lament, but it is a new type of lament. Psalm 6 is the first of seven psalms that the church has traditionally understood as prayers for the forgiveness of sin. The others are Psalms 32, 38, 51, 102, 130, and 143. So far the laments of Psalms 3-5 have assumed the innocence of the psalmist. In Psalm 6, the source of the problem is the psalmist himself. In this psalm, he offers a model prayer to help us in those times that we have fallen short in our love for God or neighbor. As we read this prayer, let us recognize the costly effects of sin and recognize that God hears our prayers. As followers of Jesus, we know the familiar words of 1 John 1:9, “If we confess our sins, he is faithful and just and will forgive us our sins and purify us from all unrighteousness.” This is a promise of grace. But such promises are not a license to sin. Our sin is costly both to ourselves as individuals, to our communities, and to the world that God calls us to serve. Verses 4–7 give the specifics of the psalmist’s prayer. In verse 4, the pray-er roots his hope for grace in the LORD “unfailing love.” This is one of the core attributes of God and means “faithful love” or “love that won’t let us go.” It is the basis for the relationship that God has with his people. The psalmist is desperate for God’s grace because he has reached the end of what he can endure. His sin has produced bad fruit: fear of death, weariness from groaning, weeping rather than sleeping, and exhaustion. Furthermore, v. 7b suggests that he is also suffering at the hands of others. It is not clear whether these are more enemies such as we’ve seen in Psalms 3–5 or if the foes here are members of God’s people who are heaping guilt upon their fallen brother or sister. Regardless, the psalmist lays it all out before God. The psalmist anticipates release from suffering and sin in verses 8–10. Scripture is clear: God forgives sin. This is true in the Old Testament and New Testament alike. It is good news for the psalmist. The psalmist looks forward to the scattering of his accusers. The psalmist also now testifies to the grace and mercy of God. This is good for all creation. Once sin becomes past tense the story of God’s forgiveness becomes a powerful testimony to a world in need of recognizing that God invites all to come to him for healing and restoration. How has the psalmist’s sin affected him? How does this psalm teach us to pray when we have sinned? In Psalm 5, the psalmist is desperate to worship the LORD in the temple, but his path is blocked by his enemies. These may be literal enemies or our own inner voice that tempts us to turn from God. This psalm invites us to ponder: What kind of person do I need to become to pray this psalm with integrity? Verses 1–3 establish the lament. The psalmist calls out to God for help. The new day has dawned and the psalmist begins with prayer. He addresses the LORD as “my king” and “my God.” These are statements of loyalty and relationship and imply a deep trust. The psalmist needs an answer from God. Verses 4–6 detail the psalmist’s plight. He desires to worship the LORD, but evil people are blocking the way. As we read the psalmist’s words, his prayer invites us to reflect on negative attributes and attitudes that we may have in common with the psalmist’s enemies. What are the types of persons who stand in contrast to the righteous? Persons who act wickedly, live arrogantly, do wrong, tell lies, and act in bloodthirsty or deceitful ways. God is not pleased with such persons. As we pray this psalm we must open ourselves up to God’s work in our lives so that we may join the psalmist in his desire to worship God rightly. Verse 7 contrasts with verses 4–6. Unlike the wicked, the psalmist can enter God’s house because of God’s faithful and loyal love. There is one key attitude that the psalmist embodies here: reverence. This is a humble recognition of God’s greatness and our deep need for him. Psalm 5 ends with a long prayer asking the LORD to take action on behalf of the psalmist (vv. 8–11) and a final declaration of the psalmist’s faith (v. 12). The psalmist needs the help of the LORD so he pleads for God’s guidance and direction past all of his enemies. The psalmist does not know the precise way but he trusts that God like a GPS will direct his path so that the psalmist arrives safely to the house of worship (v.8). Verses 8–9 are requests for direct action against the enemies. The mouths of the psalmist’s foes are full of lies. In Romans 3:13, Paul quotes Ps 3:9 as part of his description of human sinfulness. Our psalm reminds us of the devastating effects that human speech can have on others if used wrongly. The psalmist asks God to announce their guilt and banish them for their sins against God. The unstated assumption here is that the psalmist’s foes are likely asking for the same to be done to the innocent psalmist. In verse 11, the psalmist asks God to act on behalf of all who take refuge in God and love God’s name. Notice the shift from individual concern to praying for all God’s people. This is a key learning from the laments. Each of us has individual needs, but the life of faith calls us to remember our brothers and sisters too. Verse 12 ends the psalm with a statement of confidence in the LORD. God is the protector, blesser, and shield of God’s people. With God’s help, God’s people can enter God’s presence in security. What character traits does this psalm assume that we as God’s people live out daily? Reflect on how this psalm may help us in times when we find ourselves falsely accused? Psalm 4 is another individual lament or prayer to God for help. Psalm 4 divides into three sections: vv. 1–3 describe the psalmist’s situation and trust in God, vv. 4–6 offer advice from the psalmist to those afflicting him, and vv. 7–8 conclude the psalm with a statement of faith. The psalmist’s situation is more ambiguous than in Psalm 3. In Psalm 3, the psalmist faced the overwhelming experience of being surrounded by multitudes of enemies. In Psalm 4, the focus is more on the psalmist’s faith and response to his enemies than on the actions of enemies or even on specific requests for action by God. In verse 1, the psalmist begins his prayer by crying out to God for an answer. The psalmist addresses God as “my righteous God.” We often assume that righteous and righteousness are primarily legal/moral terms. In the Hebrew, these terms are relational. In other words, the psalmist is not praising God for his moral character. He is address God as relationally dependable. God acts “rightly” in relationships. That is, God can be counted on by those who are in relationship with him. This is the source of the psalmist’s trust that is evident in verses 3 and 7–8. Since God is dependable, the psalmist asks for God’s grace and mercy in the form of answered prayer. The prayer implied in the psalm is not so much against the psalmist’s enemies but for the psalmist and the rest of God’s people that they prosper as they live faithfully for God in a world that does not yet know the LORD. Verse 2 presents the problem but unlike most laments, the psalmist addresses the people causing his problem. The psalmist’s opponents are dishonoring his good name, and they are following after what is false. This may be literally “false gods” or more broadly a way of life that stands in opposition to God’s will. In verse 3, the psalmist affirms his confidence of his relationship with God and of having God’s ear. Remarkably, instead of calling on God to thwart his opponents (cf. 3:7), the psalmist offers instructions for those who afflict him (vv. 4–6). He responds with an invitation to live as God’s people rather than following in false practices. The persecutors need to end their plotting and actions against the righteous (v. 4) and instead submit to the true God by joining God’s people in offering sacrifices and trussing in the LORD rather then in their own schemes. It is in the LORD alone that we can find true prosperity and security. There is no need to exploit others and act unjustly to make it through life. The psalmist ends his prayer by affirming his trust in the LORD. God has provided joy in the psalmist’s inner being. This sense of happy contentment is worth more than the abundance of his opponents material riches. This joy leads to a true peace marked by a secure sense of well-being. Thus, the psalmist can enjoy the gift of sleep knowing that his life is secure in the LORD. What makes it possible for the psalmist to sleep securely in the midst of his troubles? How does Psalm 4 teach us to respond to persecution?